Welcome to the Biotage Flash Purification Blogs. 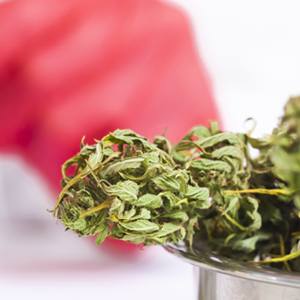 Cannabis entrepreneurs continually seek to differentiate themselves from others in the market. Some focus on THC while others focus on CBD. What I have seen recently after attending some cannabis-specific conferences is a growing interest in isolating/purifying some of the minor, naturally occurring phytocannabinoids such as CBG and CBDV. 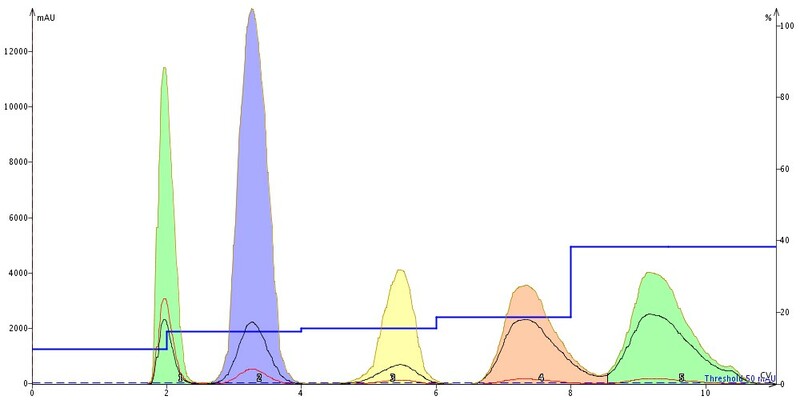 Varying the concentrations of mobile phase solvents during flash purification chromatography enhances the ability of the technique to effectively isolate the desired compound from reaction by-products and unconsumed reagents. Choosing how these concentrations will be varied over time has a significant effect on the purity and recovery of desired compounds. What is the best starting strong solvent %? What is the ending strong solvent %? Should the mobile phase concentrations vary gradually in a linear manner or should they vary step-wise or something else altogether? Most separations are performed once, occasionally a handful of times. Because of this, spending effort optimizing a gradient is just not very productive unless there are aids in choosing the gradient profile that provides an effective purification with minimum effort. Software in flash chromatography instruments, makes it simple to create a gradient. Now, what should that gradient look like? In this post I compare isocratic, step, and linear gradients and provide some sage advice on choosing among them. 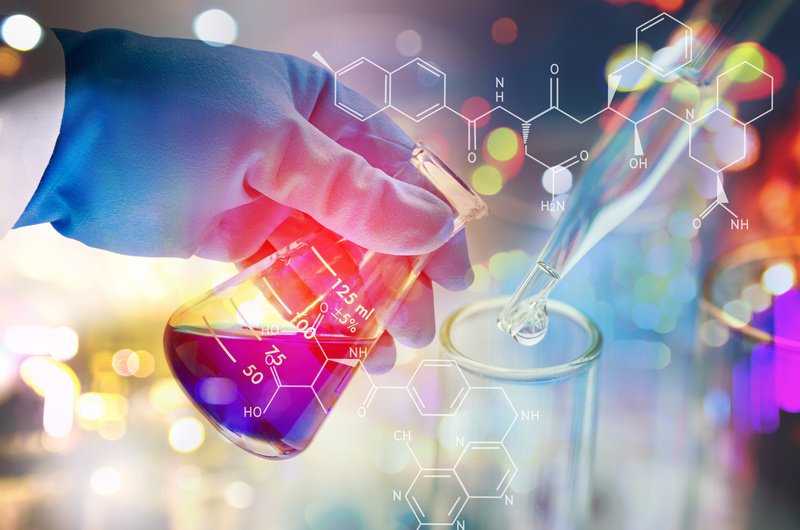 If you synthesize organic amine compounds, especially heterocyclic, secondary, or tertiary amines, you likely have encountered problems with their chromatography using silica columns. With the amine groups being basic and silica being acidic, there is a natural attraction between the two. 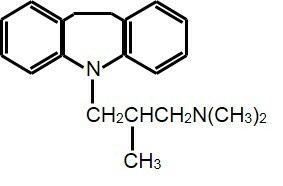 This sometimes strong attraction often requires the use of a competing amine in the solvent system. Modification of the mobile phase with the addition of a solvent like triethyl amine can provide a successful purification. Often times the use of an amine-modified stationary phase can provide the needed conditions to avoid the acid-base interaction that can interfere with a successful flash chromatography purification. In this post I will discuss how amine-functionalized silica can simplify organic amine purification and your life (at least in the lab). 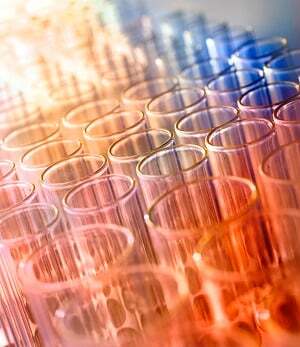 So, what exactly is a column volume in flash column chromatography and how is it determined? 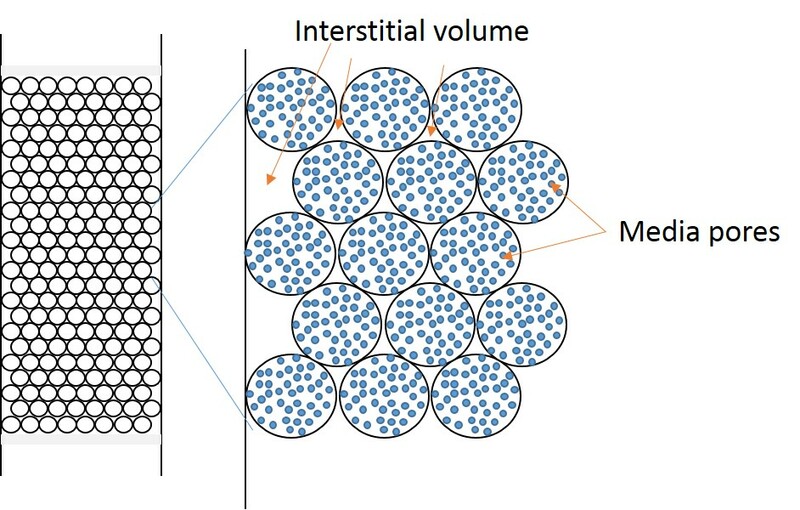 In many of my previous posts I have used the term column volume, typically abbreviated as CV, as a value used to help determine separation quality and loading capacity. However, I recently was asked a question about this topic from a chemist who understands the column volume concept but wanted to better understand its definition and how it is determined. In this post I will explain what a column volume is and how it is determined empirically. Equilibrating silica flash chromatography columns is something I always do. There are chemists who see this as an unnecessary, time-and-solvent-wasting step. 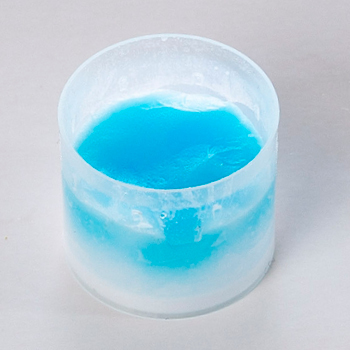 However, because getting consistent, predictable results is a priority for me, I equilibrate to remove the variability that can be caused by heat generated as solvent initially contacts the silica. Consistency is really important when running flash column chromatography because re-runs are time consuming and may put your compound at risk. In this post, I examine the role of equilibration speed and duration to show its impact, or lack there of, on purification performance. Why is reversed-phase flash chromatography use increasing? Reversed-phase flash chromatography usage is increasing rapidly. In fact, over the past 10 or so years, reversed-phase flash chromatography use has increased a dramatic 650%! This is amazing growth despite the fact that reversed-phase flash columns are considerably more expensive than silica columns and you need to evaporate water from your fractions. So, what’s driving this change in chemists’ modus operandi? 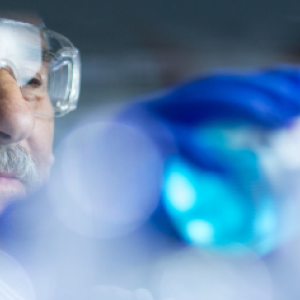 In this post, I will explain why chemists are increasingly using reversed-phase flash chromatography for routine, intermediate, and final compound purification and provide and example as well. Are so-called “high performance” flash columns worth their higher prices? Most flash column manufacturers now offer “high performance” flash chromatography columns with the promise of higher loading, increased purity, and even reduced solvent consumption. Working for Biotage, I have made those valid claims for our products as well. On July 26th, 2018, Bob Bickler, Senior Technical Specialist, recorded a webinar on A Roadmap to Successful Flash Chromatography. To learn more, read the description below as well as watch the recording! For most synthesis and natural product chemists, flash chromatography is the primary tool for purification and isolation of compounds of interest. Purification methods include flash system defaulted linear gradients (e.g. 0-100%), active gradient modification (on-the-fly) during purification, and unique method creation based one either the chemist’s experience or TLC data (typically a linear gradient). Rarely do chemists work to optimize the purification to maximize target compound purity by employing a step gradient. In this post, I discuss the value optimized step gradients provide chemists. Which dry load sorbent should I use for flash column chromatography? This is an interesting question that does not have a straightforward answer. In fact, there are many materials that are potentially useful sorbents for dry loading crude mixtures. Some of the more popular are silica, diatomaceous earth (e.g. ISOLUTE® HM-N, Celite®), alumina, and Florisil®. The sorbent choice can influence your purification results because each of the available media have different chemistry and capacity. In most cases, sample/sorbent reactivity really is not a major concern, though it can occur. What is important is the sorbent’s capacity to adsorb/absorb all of your sample and the ratio of your crude sample to the amount of dry load sorbent. Does your crude sample/sorbent dry load ratio impact flash column chromatography results? Dry loading crude samples for flash purification typically works better than liquid loading, especially for challenging purifications. In this post, I discuss how the ratio of crude sample to dry load sorbent impacts purification performance. Dry loading vs. liquid loading, which provides better flash column chromatography results? When it comes time to purify your reaction mixture or natural product extract, you have a choice to make. 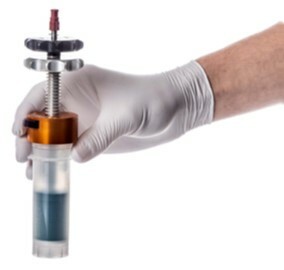 Should you simply load your dissolved sample onto your flash column or take the extra step to adsorb your mix onto a sorbent and dry it before loading? The choice can have a major impact on your results. In this post, I will share results of work I conducted in my lab, comparing liquid and dry loading a reaction mixture that containing eight major components. Are there benefits to collecting flash chromatography fractions based on multiple UV wavelengths? UV detection and fractionation is ubiquitous in flash chromatography. It is the default methodology used to detect and collect eluting compounds. Today’s flash chromatography systems offer UV-triggered fractionation on one, two, or a range of wavelengths in order to either increase fractionation specificity, yield, or increase sensitivity. In this post, I will discuss the value of incorporating fractionation based on a wavelength range and two selectable individual wavelengths. For many chemists, flash chromatography with UV-triggered fractionation is part of their everyday workflow. 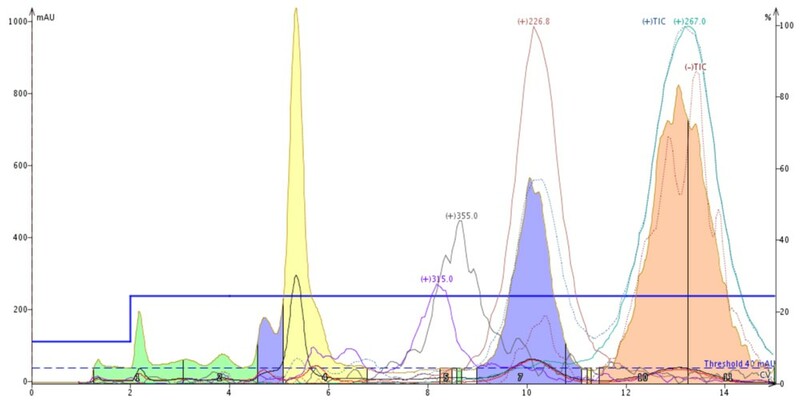 Prior to flash chromatography, the reaction mixtures are either analyzed by TLC, analyzed by LC-MS, or both to ensure the targeted product has been synthesized. But, what if the reaction created a lot of by-products? How do you find your product in a sea of impurities? In this post, I will discuss how using a flash purification system with an in-line mass detector will simplify flash purification and isolate the target molecule or molecules. On December 6th, 2018, Bob Bickler, Senior Technical Specialist, recorded a webinar on Inspiring Productivity with Modern Flash Chromatography. To learn more, read the description below as well as watch the recording!